On MLK Day I finally had an opportunity to see “Selma.” Yes, my last post on this blog was that “Selma” wasn’t snubbed and I wrote it having not seen the movie and I don’t regret it. I didn’t write it as someone who believed the movie wasn’t good, I knew “Selma” was good from the moment I saw the trailer during a “Scandal” commercial break on November 6. So when the Oscar nominations came and went with “Selma” only being nominated in two categories I really just felt it was par for the course. I honestly don’t expect the academy to rally around us every year–sad but true–and feel like they think they gave us our glory last year and we’ll have to wait another few years–also sad but probably true. But now that I’ve seen and felt “Selma” I do believe it was snubbed. Why? 1. It wasted no time. The first five minutes of the film alone made it worth a direction and cinematography nomination. To move from the calm of Dr. Martin Luther King Jr. accepting his Nobel Peace Prize and then cut to the chaos of little girls bodies drifting in the back draft of a church explosion was an incredible feat. It was not only visually arresting but it was emotionally gripping. How quickly those little girls went from wishing for hair like Coretta’s to meeting their maker. Reality struck. The moment thrusts viewers into the narrative arc of the film and of history establishing that in the midst of seeming moments of calm there is chaos somewhere and this should set us on edge. DuVernay wasted no time. 3.The casting was FLAWLESS. Carmen Ejogo was the best choice to play Coretta. From the minute she graced the screen in the beautiful beaded appliqué gown with her hair precisely coiffed to match the late Coretta Scott King’s, I felt that I was undoubtedly looking at a holographic image of young Coretta. But it’s not just that Ejogo looked like Coretta but that she embodied her presence. Coretta Scott King was regal. She could say much or little, but I imagine that when she walked into a room she commanded attention. Ejogo did that. Her words were few but her presence spoke volumes. But Ejogo wasn’t the only casting gold. Of course we all know that David Oyelowo as Martin was perfect in looks–despite his being a touch darker than Martin–and embodiment. Other perfect casting included Bayard Rustin played by Ruben Santiago-Hudson, James Bevel played by Common, and Andrew Young played by Andre Holland. The casting is not only about the look but the embodiment and in a movie of this nature, embodiment is key. Most, if not all, of the actors were able to become their roles to the point where you forgot who they were in reality. That is the key to great casting. 4. It took the audience somewhere. I concluded my previous post on “Selma” by stating that the film convicting and moving people is an award in itself. As I watched it I was sitting between two men. A white man I didn’t know on my left and my friend, a black man from Alabama, on my right. I cannot deny the tension I felt during the film, having moments where at once my internal voice said, “I hate white people,” while wanting to hold my friend’s hand and/or rest my head on his shoulder because I was so overcome with emotion. (To be clear, I don’t hate white people I hate their privilege and their failure to recognize that they have it whether they want it or not because of the color of their skin.) 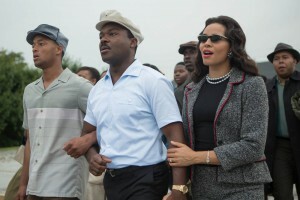 DuVernay’s depiction of “Bloody Sunday” set the movie theatre on edge. I looked around and saw the man on my left wincing and wiping away his tears, my friend on the right with his hands clasped in front of his face, and many others throughout the movie theatre watching in a state of shock and sadness. The movie did and is doing affective work inside and outside of the theatre and that, I believe, should be considered among one of the highest virtues of film viewing. 5. Black people were the heroes. Often it feels like it is easier to nominate a black person for an Academy Award when they are driving a white woman around, playing a corrupt cop, begging a white man to “make me feel good,” being a crazy dictator, a slave, and the list goes on. This is not to say that we haven’t been nominated for playing other roles, but more of the roles we are nominated for and win are the roles that find us either under someone or being over someone in the most animalistic way possible. Though Martin Luther King, Jr. is not without faults, he broke some ground for us and the narrative of his work continues to make ways for us–I will not get into the issue with the problem of the narrative right now. All of this to say that to see David Oyelowo and Carmen Ejogo clench the nomination for best actor/actress would have been a welcome respite from many years of being nominated for the same types of roles. I would prefer to see a King awarded over a Sniper. 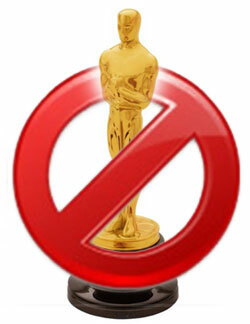 I am a loyal viewer of the Academy Awards with a longstanding tradition of live updating during the show but this year I will not watch, tweet, or do anything that supports the Academy Awards because they don’t support me. Do you realize how many white narratives the Academy has supported over the years? Sure some of those narratives were worth the awards but year after year that show is always more liable to stick to its own–even when their own does mediocre work at best rather than considering anyone else. And that’s the thing, why should our stories not be theirs too? Why must we be “othered” even when we are in the same industry? Their stories are told and credited as worthy of numerous accolades while we are lucky if we are nominated. More of us than not support their stories in addition to our own while they continue to just support their stories. Something’s got to give.